Winter is coming? No, my friends (and Game of Thrones fans) – winter is here. From your car door freezing shut to navigating ice-covered roads, there’s no doubt that winter weather can seriously take a toll on the health of your car. If you didn’t get a chance to winterize your vehicle this fall (#nojudgement), there’s no time like the present to remedy that. Before going into hibernation this season with Netflix at Club Couch, make sure your car is in tip-top shape to handle anything the winter weather blasts your way — If for no other reason than you know, to ensure you’ll be able to replenish your Netflix snacks. While you were out having fun in the sun and sand this past summer, your car was still working hard for you. Since you make it a priority to get yourself an annual physical, you should absolutely make it a priority that your vehicle gets a checkup as well. Bringing your car in for a tune-up will ensure that all fluid levels are correct and your vehicle’s battery has enough juice – two things that are super important, especially in the wintertime. Without proper fluid levels (antifreeze, oil, transmission fluid, brake fluid, windshield washer fluid, and coolant), your vehicle may be in serious trouble; having enough charge in the battery will ensure you’re not stranded with a car that won’t start. Windshield wipers and headlights/taillights should also be checked to ensure the highest quality visibility in winter conditions. Also, be sure to have the pads on your brakes checked, particularly if you have an older car with a lot of mileage. Two of my previous cars had brake failure, so it’s of the utmost importance to get this checked – especially in older cars and especially during winter when road conditions are poor. Just when you thought pennies were the most useless of all American currency, they come through in the clutch! If you’re opting to keep your current tires on your car throughout the winter season, do the ‘Lincoln Test’ to ensure your treads are up to snuff. Simply place the edge of a penny into the tread of your tire with the top of Lincoln’s head facing toward the car. If you can see all of Lincoln’s head with the penny fully inserted into the tread, then your tires won’t last you through the season. Consider swapping them out for snow tires or all-season tires, which will be much more reliable in winter weather than standard tires. Depending on where you live, this step may be optional. The general rule of thumb is this: the colder the weather, the thinner your oil should be. The viscosity level of engine oil is noted by the first number in the name – for example, a 5W-30 oil is less viscous than a 10W-30 oil and therefore performs better in the winter months. Switching out your oil for a less-viscous option may be a prudent move if you live somewhere that gets wicked cold (can you tell that I’m a New Englander?). This tip also applies to transmission fluid, so be sure to get both checked out! You know the stuff that your city sprinkles on the roads before a snowstorm? That stuff is a magical combination of sand and salt – both of which can desiccate and decimate your vehicle over time! Salt is extremely corrosive, and sand can ruin a paint job, so we recommend getting a fresh coat of wax on your car before the snow flies. Most of the damage can happen on the undercarriage of the car as well, so be sure to look for a wax product that will protect behind the wheels, the quarter panels, and front grille in addition to the body of the car. Keeping an emergency kit in your car is a good idea all year round. However, you will need to make a few modifications during winter months to make sure you’re covered in case you get into an accident or your car breaks down. Winter-specific items to add to your emergency kit include: a snow brush/ice scraper, flashlight, warm hat and winter gloves, a bag of sand (this can help give traction if you get stuck), small shovel, extra coolant, a blanket, jumper cable, road flares, and waterproof matches or a lighter. Always good to throw in some energy bars and bottled water, too! 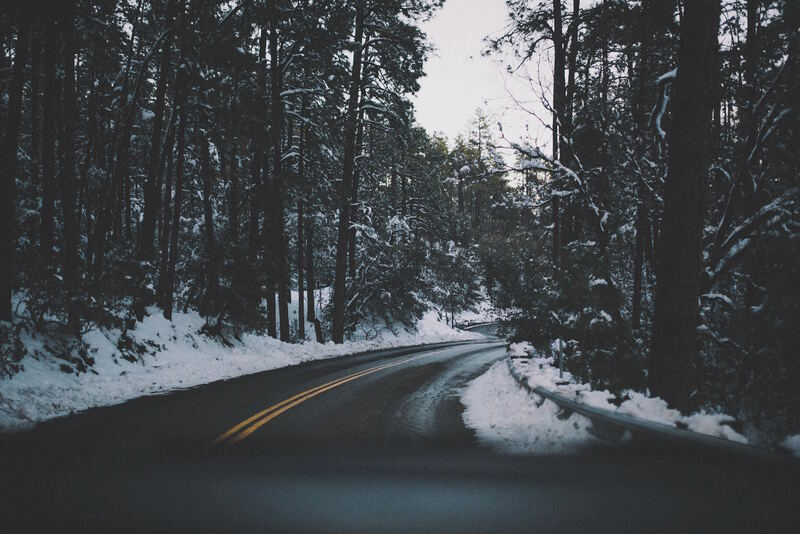 TL;DR – your vehicle needs year-round TLC, but it is especially important during the winter months to keep you safe and get you where you need to go. If you haven’t already, be sure to check out Metromile and get a free quote. Stay safe out there and we’ll see you on the roads!